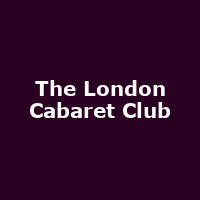 "The London Cabaret club offers a sophisticated entertainment concept combining an Exquisite dining experience with an innovative live cabaret show. Set around a distinctly British theme, the show celebrates the rich heritage of British culture past and present. Featuring stars from London's West-End, original choreography, and premium production values The London Cabaret Club presents a truly unique proposition to London's entertainment and nightlife scene."